Rooted during the birth of the quick-service food industry, Prince Castle was founded in 1955 as an innovator in restaurant operational efficiencies. We are inspired by quality, and operate under a simple goal: working to help you make food taste great. We gain first-hand knowledge of world-wide industry demand by immersing ourselves into real-world kitchens to address the challenges that plague your everyday kitchen operations. Our response? High-quality products designed to meet the rigorous kitchen challenges that matter to you most. Market Research: we engross ourselves in your environment, gaining a first-hand understanding of your specific needs and the needs of your customers.. Innovative Design: our engineers get to work, turning insights and challenges into efficient solutions. Quality Control: all prototypes undergo testing in the most rigorous foodservice environments. Production: our Illinois-based production line manufactures products with precision and quality. Inspection: one more round of inspection is conducted to ensure excellence. Delivery: well known for our fast delivery, our logistics network works hard to ensure our world-wide distribution is conducted in a timely fashion. Service: we support our products throughout their lifespan, which is why our relationship never ends at delivery. The cornerstones of our products are reliability, safety, ease-of-use and connectivity, positioning quality at the foremost of every product we develop and every interaction we conduct. 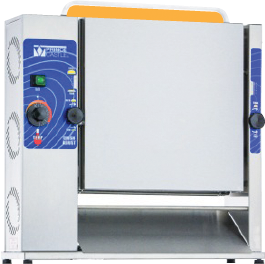 From refrigeration; holding, steaming and toasting; and smallwares solutions, our products are chef-tested, quality approved. We inspire menu variety with products that help improve efficiency with mass customization. We spearhead operational efficiency by slicing labor costs, increasing safety and delivering products that reduce overall kitchen space needs. We connect your kitchen staff through equipment that utilizes that latest technology, including mobile programming, smart phone-enabled monitoring and social media engagement. 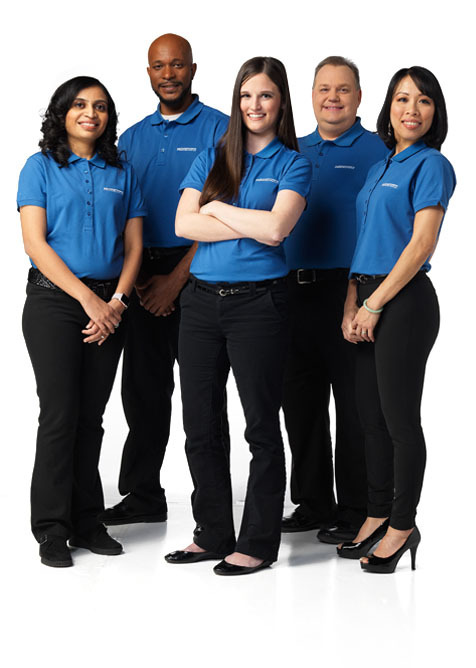 Learn about the real-world applications of our products in our customer case studies. An independent bagel consultant was searching for a way to help independent bagel shops increase sales and check averages by offering sandwiches. However, many bagel shops struggle to offer fresh sandwiches with hot ingredients. To avoid serving poor quality, this often results in wasted food. 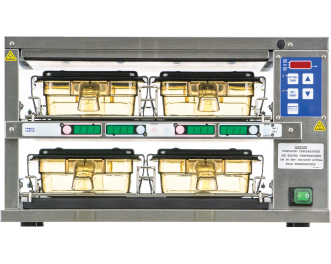 Using Prince Castle’s Dedicated Holding Bins in select concept locations, the bagel company kept eggs, sausage patties and bacon fresh for extended periods of time, with one chain achieving a reduction in service time from three minutes to one. As a result, sales of sandwiches (and bagels) increased 100 percent. Many convenient store chains and gas stations find premium-brewed coffee to be very profitable, yet find it difficult to adequately monitor the coffee bar, specifically with other tasks pre-occupying their time. 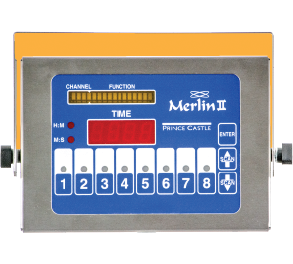 By installing Prince Castle timers to monitor the coffee’s hold times, staff were provided audible reminders to monitor the coffee heat time, allowing them to discard expired product and increase quality control. A chicken chain wanted to introduce its new char-grilled chicken sandwich, yet was faced with a few challenges. While the company wanted to deliver a high-quality product, including crispy bun, it was limited in space and needed a solution that did not increase service time. The slim profile of the Prince Castle 297-T12P contact bun toaster adhered to the strict space restrictions of the already thriving kitchen. Additionally, using contact toasting for the bun ensured that condiments did not soak through, delivering a high-quality product that didn’t fall apart. With the support of Prince Castle, the new sandwich remains one of the most successful product launches for the chain.